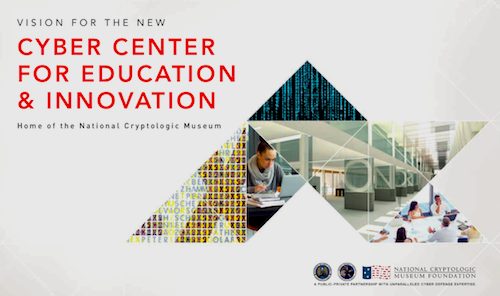 A "Compact Brochure" highlighting the education component of the new Cyber Center for Education and Innovation and home of the National Cryptologic Museum is available to view or download by clicking on the image below. If you prefer the latest full brochure, click on the full brochure image. * To help build the CYBER WORKFORCE of tomorrow. * To connect the PUBLIC to the CYBERSECURITY mission. 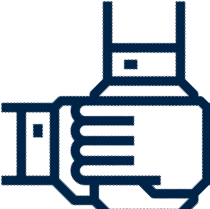 * To continue to pursue the mission of the National Cryptologic Museum and National Cryptologic Museum Foundation - to EDUCATE, STIMULATE, & COMMEMORATE. Click to view PDF of brochure. MAKE THE NEW MUSEUM A REALITY! 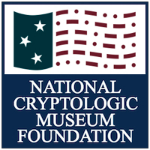 Donate to the fund for the new Cyber Center for Education and Innovation (CCEI) - Home of the National Cryptologic Museum.